This is my first What's New post for 2018 and I have included a couple of lovely gifts for Valentine's Day along with a couple of items I have been trying out over the last couple of months. 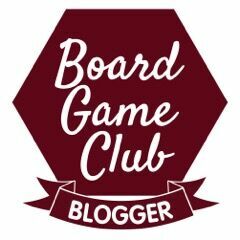 I hope to bring you lots more new items over the coming months that we have tried and tested. 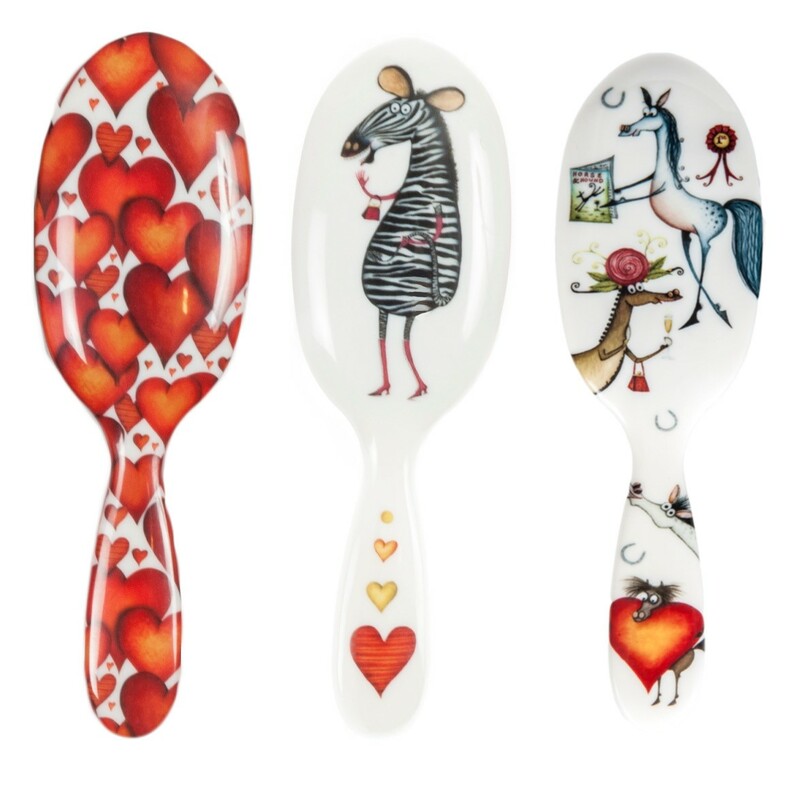 A lovely keepsake for Valentine's Day is the Rock and Ruddle fun designed hair brushes. Made from quality boar bristles which glide through hair leaving them naturally shiny. I love the animal designs, especially Mrs Zebra but if you prefer something more Valentine inspired there are ones with red hearts. Priced at £30 for a handbag size brush or £30 for a large brush they are available from Rock and Ruddle. 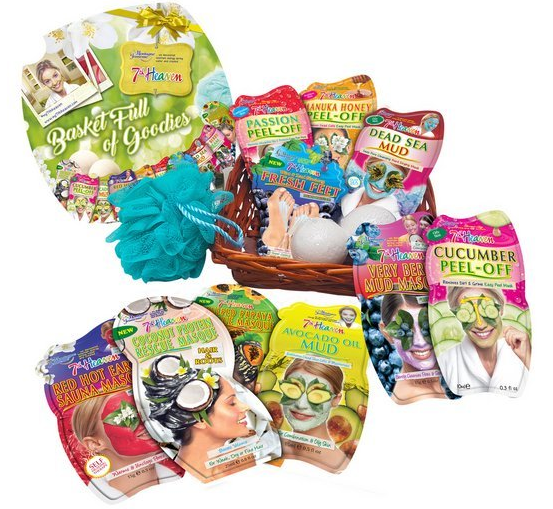 Why not treat your loved one to some pampering with 7th Heaven who have recently launched lots of beauty hampers which are loaded with treats for skin, hair and body. They are all reasonably priced with the Super Skin Essentials hamper costing £7.99 and the Top to Toe Treats £9.99. You can buy them online or in Argos. I recently used the Coconut Protein Rescue Masque for hair and roots and can honestly say my hair feels so good. 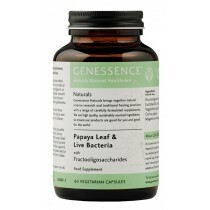 For a while I have been experiencing symptoms of IBS so when I was asked to try Papaya Leaf and Live Bacteria supplements from Genessence, how could I possibly say no. Containing Papaya Leaf extract and other natural ingredients they encourage the growth of good bacteria in the stomach which aids digestion. I can honestly say after taking these capsules daily for over a month my symptoms have improved. Available to purchase from Revital priced £24.99. Over the Christmas period I also tried out the Vie Recovery Patch. There is nothing worse than waking up with an hangover, especially the nauseous headaches and I will try anything to see if it helps, not that I drink a lot ;) . 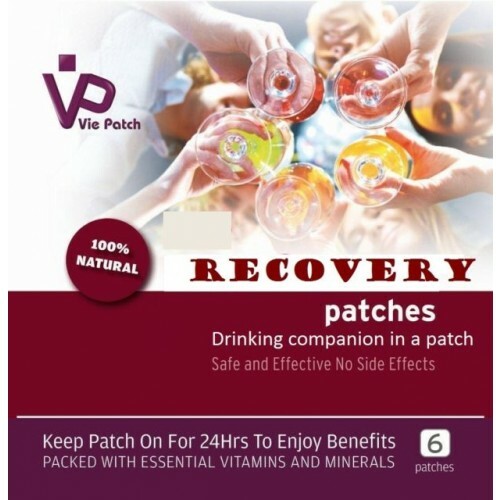 The recovery patch is designed to help your body break down alcohol in a more efficient way by releasing natural essential herbs, vitamins and minerals into the blood. You apply the patch to a hairless area of skin before you have a drink and wear it for 24 hours. This will not stop you from becoming intoxicated but can help to prevent some of the more physical effects of alcohol. I’m not sure if they helped or not as I did not consume large amounts of alcohol, but I did not suffer with headache (which is a good thing). Available from Vie Healthcare they are priced at £4.95 for 6 patches. I would love to see if you have discovered any new products this month and include them in my linkie. All comments will be reciprocated.